If you’re looking for something big and bright to ‘wow’ your guests with on your big day, then our LED blossom tree is absolutely perfect for you. 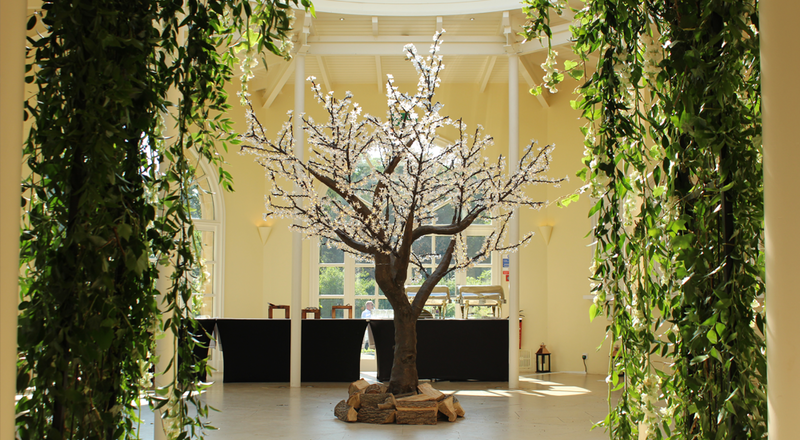 At just over three metres tall our LED blossom trees will certainly create a talking point on your big day. 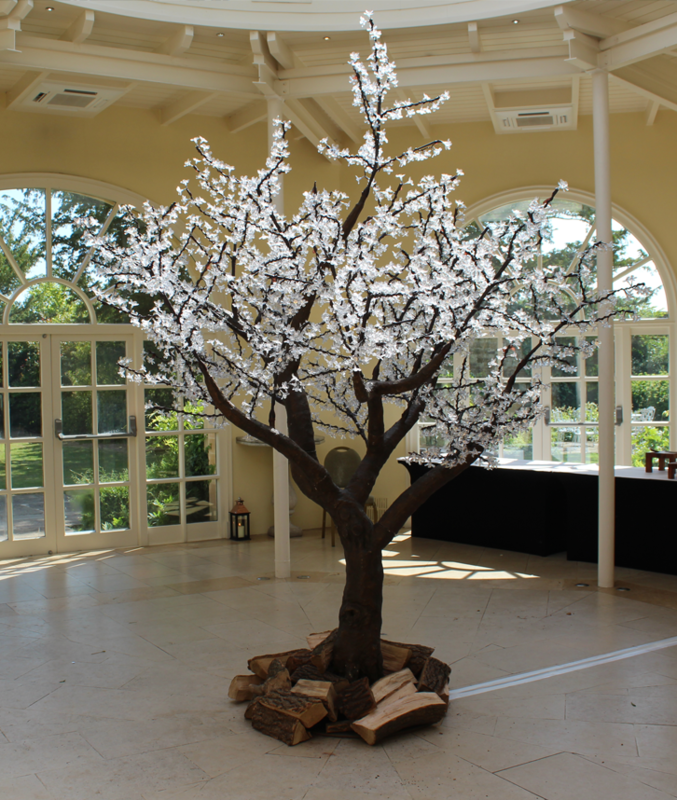 Our LED blossom tree is a very adaptable product and can be used indoors or outdoors, making it perfect for a wide range of different events including weddings, corporate events, conferences and even exhibition shows in Leicester or Leicestershire. With realistic bark bases and long branches packed with warm LED lights these really are the highest quality products on the market. Add some fairy-tale magic to your wedding or event with our stunning illuminated trees. 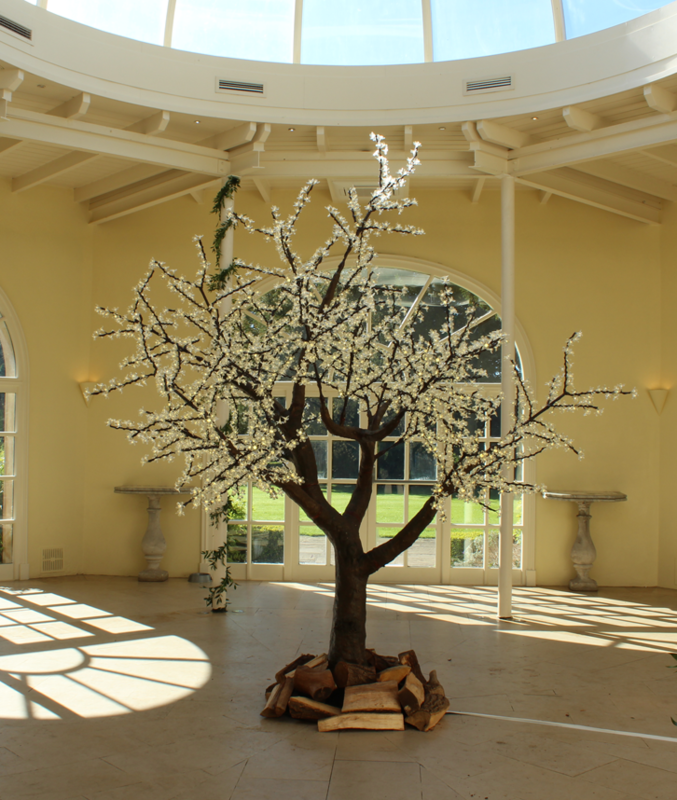 Our LED blossom tree will shower you and your guests in warm, magical light and transform your venue into a enchanted wonderland. Designed with energy saving technology they are the perfect sophisticated lighting solution used to create the ‘WOW’ factor at any event. 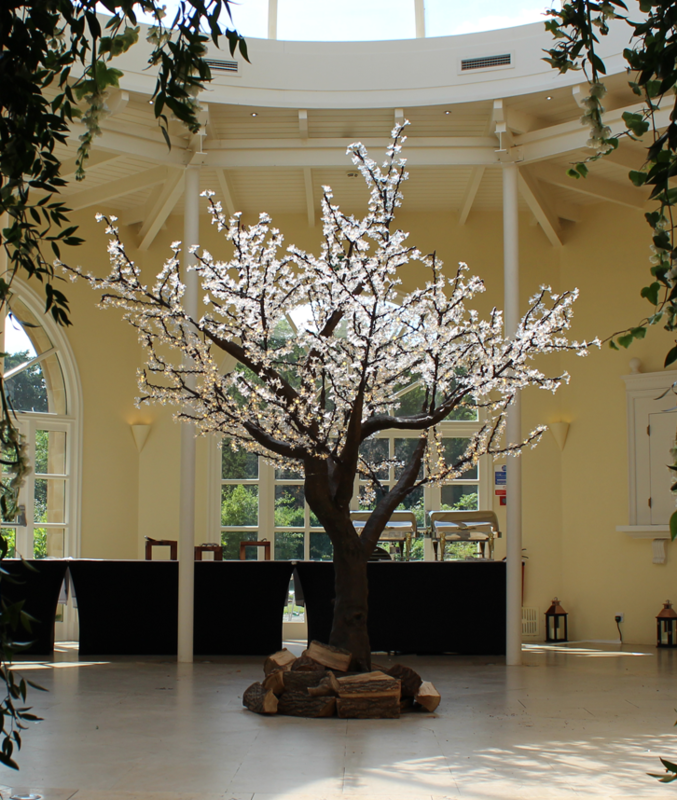 We are happy to deliver and setup our LED Blossom Trees for your wedding or event at any venue in Leicester or Leicestershire as long as right across the United Kingdom. Our LED tree arrives in two sections so we can get it into almost any venues space going, with a single set of ladders and our hard working staff we can build up our LED blossom tree in no time at all. If you are interested in our LED blossom tree or would like more information for hire throughout Leicester, Leicestershire, Wigston, Oadby, Aylestone, Countesthorpe and Hinckley please don’t hesitate to get in touch. You can give us a call on 0116 2885956 or alternatively you can email us on info@solidstateuk.co.uk.